NCPD: Neal Morris, 32, is charged with Assault, Resisting Arrest, and Possession of a Controlled Substance. Hempstead, NY - The Third Squad reports the details of an arrest for an Assault that occurred in Hempstead. As part of the Hempstead Initiative, Narcotics Detectives were on patrol in the vicinity of Hilton Avenue and Jackson Avenue. The detectives observed the defendant, Neal Morris, 32, act suspiciously in a known drug prone area and enter an awaiting taxi. The detectives initiated a Vehicle and Traffic Law stop of the taxi, resulting in them finding what is believed to be crack-cocaine in the defendant’s hand. As the detectives attempted to place the defendant under arrest he resisted and attempted to flee, injuring two detectives. The detectives were able to gain control and place the defendant under arrest. Both officers were transported to an area hospital for treatment of their injuries. Defendant Neal Morris has been charged with two (2) counts of Assault 2nd Degree with Intent to Cause Physical Injury to an Officer, Assault 3rd Degree, Resisting Arrest and Criminal Possession of a Controlled Substance 7th Degree. He was arraigned at First District Court, 99 Main Street in Hempstead. 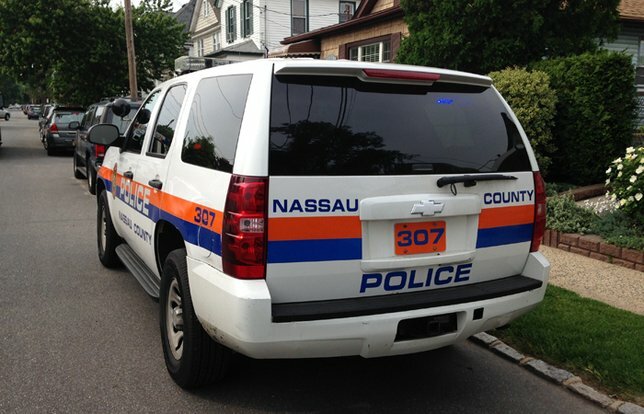 Subject: LongIsland.com - Your Name sent you Article details of "Hempstead Man Assaults Narcotics Detectives During Drug Bust, According to Authorities"